Lives are lost but there is no recourse, thanks to diplomatic immunity under the 1961 Vienna Convention on Diplomatic Relations. In a quick succession of two hit-and-run accidents in the early hours of Dec 15 last year, an inebriated Romanian diplomat, Dr Silviu Ionescu, 49, beat traffic lights and knocked down three men along Bukit Panjang Road in Singapore. One of them was Malaysian Tong Kok Wai, 30. He died on Christmas Day after his newly-wed wife Yenni Young, 31, grievingly had to take him off life support when the doctors declared him brain dead three days after the accident. 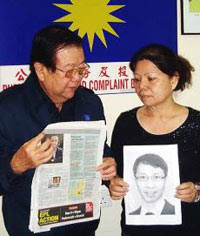 On March 31, State Coroner Victor Yeo concluded that Ionescu was a liar in the entire tragedy. In his 42-page finding, Yeo described Ionescu’s conduct as “not only cowardly and irresponsible, to say the least, but utterly deplorable”. Yeo went on to say that despite knocking down three men, Ionescu did not have the human decency to stop and help, and yet had the audacity to slow down, wind down his window and scold an eyewitness who tried to stop him from fleeing the scene. Yeo added that Ionescu lied because he was “motivated by his guilt for driving recklessly and causing the two accidents”. 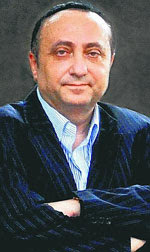 The Singapore Straits Times also reported that when contacted by telephone, Ionescu dismissed the verdict as “bull****”. “Honestly, I don’t believe in the court of Singapore,” Ionescu was reported to have said. The Singapore government is likely to press a set of 13 charges against Ionescu this week, ranging from causing Tong’s death and grievous hurt to two others by reckless driving to failing to stop, render assistance and lodge a police report after the accidents. Singapore and Romania do not have an extradition treaty and the Romanian authorities have so far indicated that they have no power to compel Ionescu to return to Singa­pore as the latter has been suspended. In this age when human rights, fairness and justice override everything else, innocent victims must be accorded recourse against personal abuses of immunity. The sending states must ensure that their representatives have the highest standards of personal conduct and character, and are ready to lift the immunity for any personal wrongs committed by their diplomats in the receiving states. *Published in The Sunday Star, 04 April 2010.